Shade achieved notable success in a very short time with limited exposure to the ring. 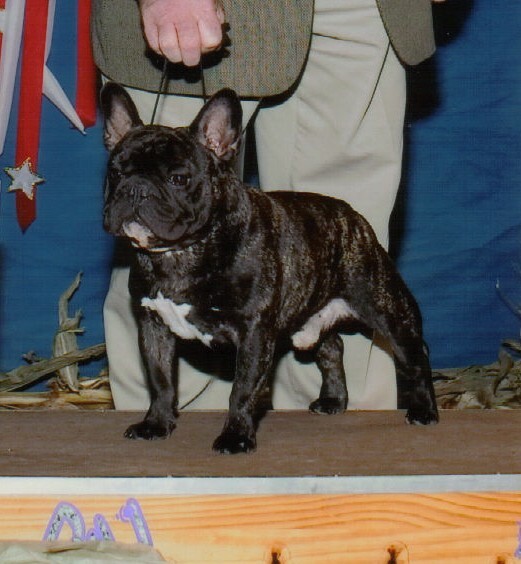 From his quick Championship as a puppy to his Best in Show All Breeds Award, Eukanuba Cup Breed Win,an award of Merit at the 2003 FBDCA National Specialty, his many group placements, and most recently his inclusion in the very first Top Twenty event at the 2004 FBDCA National Specialty. We have high hopes for this awesome young dog.